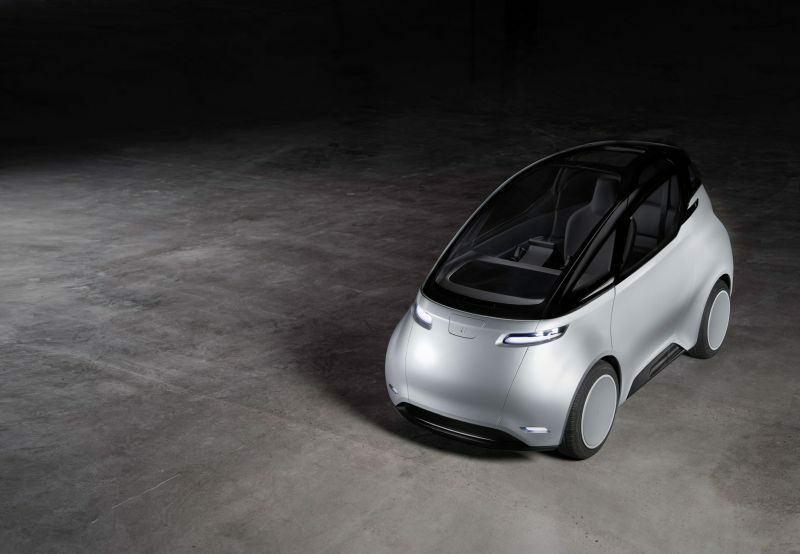 Uniti, a start-up company based in Sweden is going to start production of an affordable and fully electric car, Uniti One. The company will start manufacturing the vehicle in 2020 at Silverstone, which is already a home of Formula 1 Grand Pix. This will be the company’s first production site in the world and the first electric vehicle production site in the UK. The production site in the UK will serve as a model for Siemen’s Twinning Technology. The technology will be used to create a network of digitally licensed assembly plants all over the world. Meaning, any concept, designing data or product details can be shared, uploaded and replicated to any plant where this technology is implemented. Using this system, Uniti will be able to commence a number of plants across the globe, to manufacture its cars with a fully automated technique. We literally mean fully automatic because there will no needfully of any human presence. Thought behind this process is to cut down the transportation costs and negative impact on the environment. With such a mindset and skills, the company is planning to be a major player over the next few years in British electric auto market. Uniti started as an open project at Lund University, and emerged as a startup in January 2016. Uniti One’s concept came into the maker’s mind because they think that the current cars are unnecessarily big and consumer of lots of natural resources. They wanted to make an environmentally friendly and efficient vehicle that can offer all the latest technologies to the consumers. That is why they came up with the One, that has all the features to redefine the electric car segment. It is not just an electric car, it is an innovative machine. The Swedish startup showcased the prototype of this car back in 2016 CeBit event. The prototype came into development due to Equity Crowdfunding. 570 investors invested €1,227,990 to create the final design, which was revealed later in 2017. 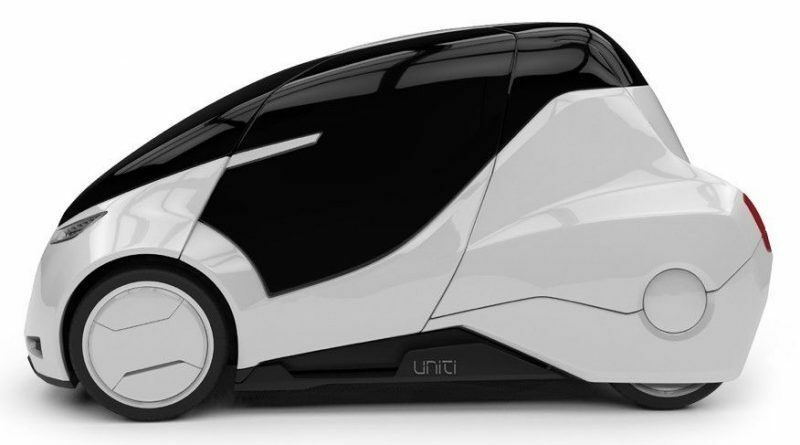 The latest eco-friendly car from Uniti will feature energy efficient features including a 26-kilowatt battery capable of powering the car for 240 km (186 miles) with a top speed of 130 km/h. The latest eco-friendly car from Uniti has dual motors with an output of 120 kW. In sports mode, it can reach 0 to 80 km/h in 3.5 seconds. Electronic steering makes it ideal for either city roads or highways. It will have various innovative features that are yet to be on any other electric cars. It also accepts voice commands. Safety features include brilliant technology like ADAS and a comprehensive sensor suite that helps the driver to avoid any accidents. This is the reason, NCPA gave it 5 stars for safety. Comfortable two seater cockpit gives you access to digital controls and a smartphone looking display with a user-friendly interface. The main attraction is its steering that looks more like a console to fly planes. There is a main tablet like 7-inch display with two joysticks attached on both sides of it. The display manages everything from the car entertainment to social media updates. It will offer continuous access to cloud storage through its intuitive user interface. You can use the joysticks to drive, accelerate and decelerate. Amazing, isn’t it? Makers say that the initial drivers found it better than the conventional steering wheel. However, you can go for the regular steering which will also be available as an option. The car will have the Autonomous drive feature as well. You can charge auxiliary battery of the latest eco-friendly car using any regular outlet. On AC, the batteries can be completely charged within 3 hours. The fully electronics vehicle supports induction based fast charging wherein the battery level can reach up to 80 percent within 30 minutes. Once fully charged it can run up to 300 km, depending on the version. Batteries are swappable, so you can keep an additional for an emergency drive. Apart from the battery, it has a solar panel roof as an alternate charging option. Uniti One has a progressive design and futuristic look that gives you a bold statement while you drive to the office. The vehicle has a sleek aerodynamic design and fully covered rear wheels. Looks like it has the size of Mahindra e2o. The latest eco-friendly car has a robust and sustainable built to suit business travels and car sharing. From manufacturing to disposal it will it will produce overall 75 percent less carbon as compared to regular cars. The swedish startup says that the building material is mainly recyclable carbon fiber and organic composite. The car’s weight is just under 450 kg. The price for the entry version of the fully electronic vehicle will be €14,900 while the high-end version of the car will have an estimated price of €19,900. Most of the European countries offers subsidiaries that will bring down the price even more. For example, a user in Sweden will pay SEK 40, 000 less plus he/she will be getting five years off exempt from circulation tax. To add the cherry on the ice cream, the company announced that the Mahindra e2o will not have to pay electricity bills to charge the One for five years. The car is already in the display in Stockholm and Malmö at MediaMarkt. If you want a test drive, use the VR-technology and enjoy it. Uniti has collaborated with Bird Group for an Indian launch of the car in 2020. Deliveries of the two-seater in the Indian market will start in 2019. You can pre-order the electric car by paying 149 Euros (14085 INR). If you decide to pre-book the vehicle, you will have access to the company’s members-only events, limited test drives, exclusive online content, and other perks. However, if you are an Indian user, then your car will not get the joysticks. It will be available with the regular steering wheel. Makers have already chosen Adelaide, Australia to be the production and distribution house for Asia. If we talk about the Indian market, the latest eco-friendly car will stand against Mahindra e2o. One has a higher price as compared to e2o, but the former excels in charging time and driving range.